In a recent study examining the safety of addiction treatment medications, West Virginia University faculty found that Suboxone may be safer for pregnant women and their babies than methadone or Subutex. Faculty members Laura Lander and Patrick Marshalek examined the medical records of 26 pregnant women who were prescribed Suboxone, a combination of buprenorphine and naloxone, to treat their opioid use disorder. While some medications used to treat opioid use disorder can be misused, Lander and Mashalek said Suboxone is different. “The naloxone discourages misuse as it is activated if an individual attempts to inject the medication,” said Laura Lander, West Virginia University Social Work Section chief and associate professor in the WVU School of Medicine. The activation, she said, isn’t pleasant. “Misuse of this medication could make you start to feel sick, or even go into withdrawal,” explained Patrick Marshalek, a psychiatrist and clinical associate professor in WVU’s School of Medicine and the medical director of WVU’s Chestnut Ridge Center. The 26 women in the study were participating in the Chestnut Ridge Center’s Comprehensive Opioid Addiction Treatment program. The researchers also reviewed the medical records of the women’s newborn babies, including the newborns’ gestational age; weight, length and head circumference; Apgar score; duration of hospital stay; diagnosis of neonatal opioid withdrawal syndrome; and prescribed pharmacological treatment for withdrawal. Their study, published in the American Journal on Addictions, found that babies exposed to Suboxone in utero fared as well as or better than babies exposed to more conventional addiction treatments, such as treatment with methadone or Subutex. “It used to be, if you were pregnant, you would be prescribed methadone,” said Lander, who is also an addiction therapist at Chestnut Ridge Center. A release said clinicians didn’t put Subutex into common use for treating pregnant, opioid-dependent women until a 2010 study by Hendree Jones, a co-researcher on the current project, indicated that babies whose mothers took Subutex while pregnant had a lower incidence of withdrawal. If they did have withdrawal, it tended to be milder and required a shorter hospital stay. 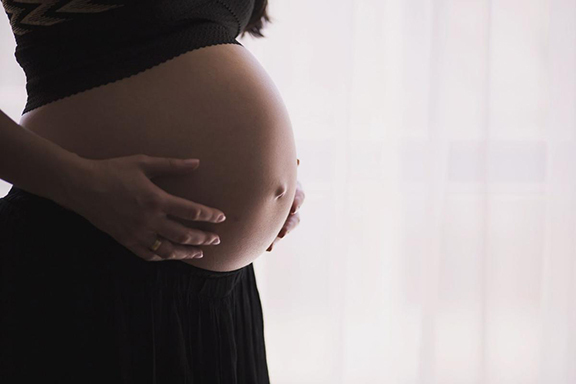 Lander and Marshalek hope their findings will make clinicians feel more comfortable prescribing Suboxone to their pregnant patients in treatment. They hope to soon study how Suboxone and Subutex affect babies over the long term, even into childhood. In the meantime, Lander and Marshalek are training health care practitioners across West Virginia to pharmacologically treat opioid dependence. These patients include opioid-dependent pregnant women, whom Lander called “the most stigmatized folks,” even by their own peers with substance use disorders.